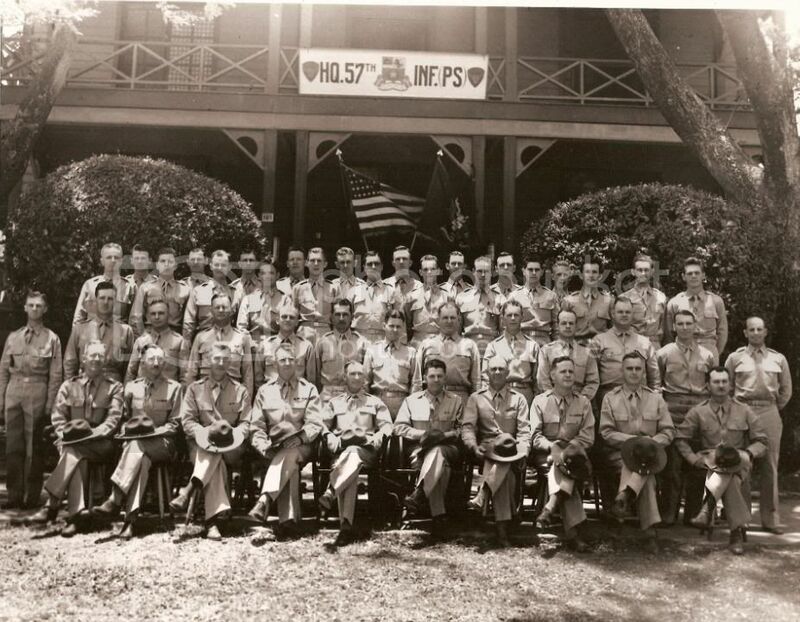 I hope this helps researchers out there -- A group picture of the 57th Infantry PS taken in May of 1940. 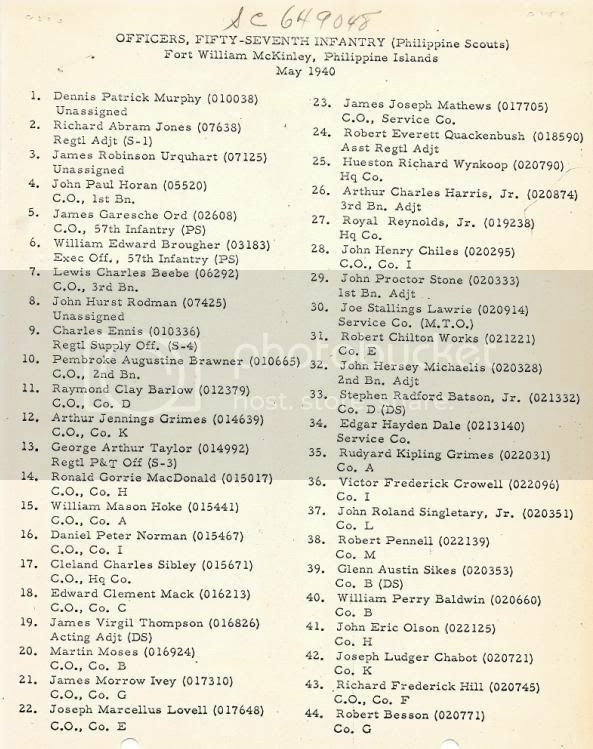 Complete with roster and what had become of them. Click the thumbnails to zoom. It took a bit of letter writing, but I found out this George Taylor in this photo is not my George Taylor. 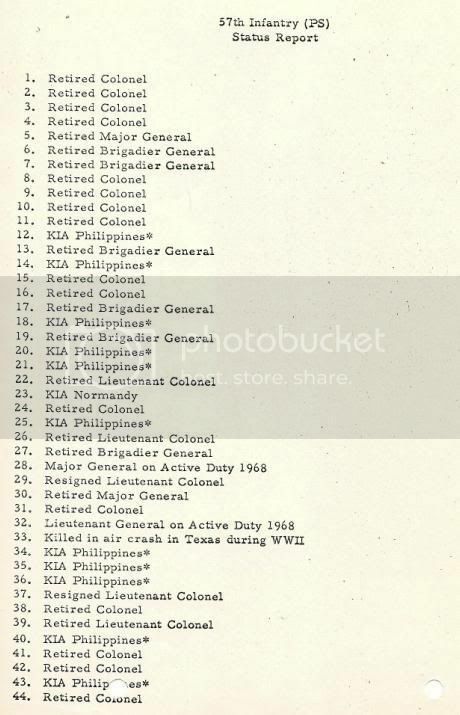 I've added some additional information identifying the units some of the officers served in during the war, as well as information on POW camps, hellships, and fate. In comma separated format (CSV). Capt. (later Col.) John E. Olson lives in San Antonio, Texas and is the Historian for the Philippine Scouts Heritage Society. His books and some articles are listed on the PSHS website. These books include Anywhere--Anytime: The History of the 57th Infantry (PS).